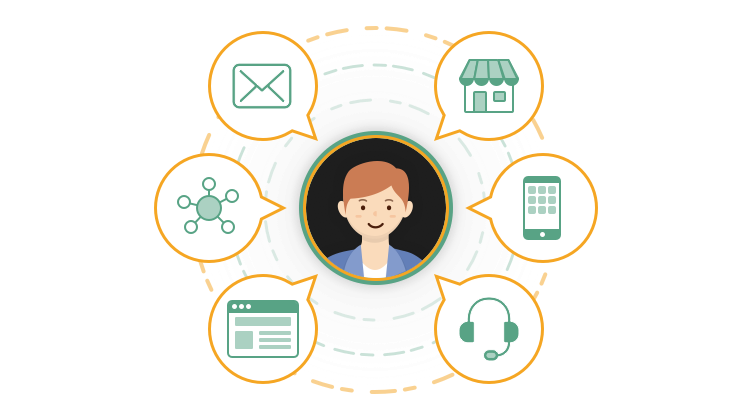 An omnichannel experience is a multichannel approach to sales that seeks to provide the customer with a seamless experience whether the customer is online from a desktop or mobile device, by telephone or in a bricks-and-mortar store. The keyword is “seamless.” Many companies have a multichannel experience, where the customer can interact with them via social media, smartphone, web, in store, and more. But these experiences are disjointed: what a customer does via one channel doesn’t transfer over to the other. 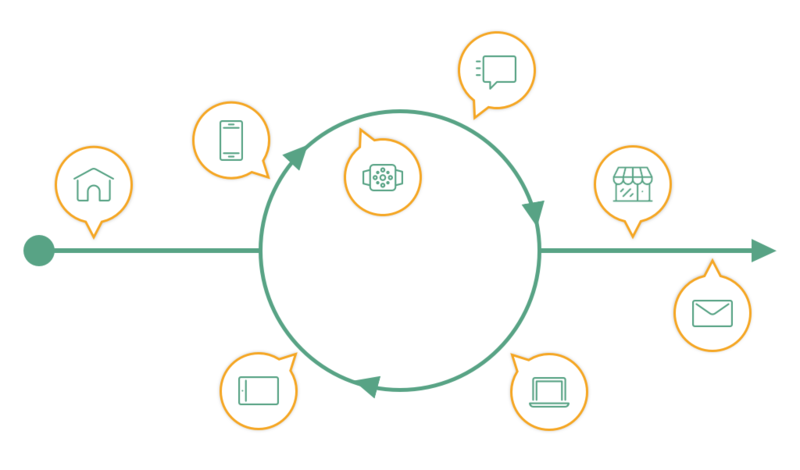 An omnichannel experience is one where each channel works together: a customer can do something on one channel and continue with that task on another channel. Cinemark customers can find movies via their website or phone and purchase tickets. At the theater, customers can pick up the tickets they have purchased. While in the theater, the user can mute their phone, which earns them a reward at the concession stand. 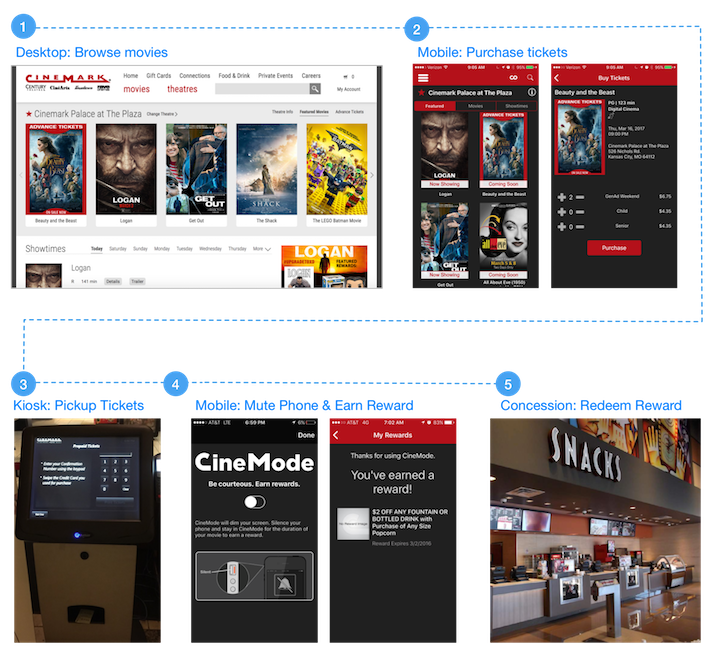 The whole journey of finding a movie, purchasing a ticket, and watching the movie at Cinemark has been made to minimize effort and friction when moving between the channels of desktop, mobile, and physically being at the theater. Other examples of companies that have great omnichannel experiences are REI, Ulta, Bank of America, Nordstrom, Warby Parker, and Starbucks. If you’ve ever ordered a coffee from your phone, strolled over to the nearest Starbucks, and found your order hot and waiting for you, then you’ve had a great omnichannel experience. The Supermal Karawaci mall in Jakarta integrates tech into the shopping experience to offer personalized content. Today’s world is fast-moving. People are engaging on the go or with whatever device they have handy. They don’t complete an activity in a single sitting, and often different channels are required to complete an activity. It’s important for companies to have an omnichannel experience to keep up with their customers’ needs and make completing an activity across multiple channels as smooth as possible. A great omnichannel experience drives customer engagement and keeps them loyal. It also unifies the company’s brand message and how people view the company. Here at Momentum, we strive to provide the best customer experience in each channel and across channels. We look at the entire customer journey and identify different touch points, channels, and areas for big and little wins in reducing effort and making the journey as smooth as possible. What channels to my customers use to engage with me? Smartphone? Web? Chatbot? In person? Determine what channels you need. How do my customers engage with me? Do they only engage with you during the workday at their desk? Do they frequently check in on their mobile? Are they on the go? Learn your customers’ behaviors to see how and where you can integrate your different channels to provide your customers with a great omnichannel experience.